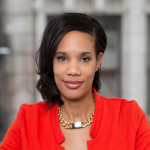 Farissa Knox is the founder and CEO of RLM Media, a boutique media advertising agency. Farissa and her team help their clients reach their customers through paid media. She’s also the founder of WhatRUWearing, an interactive fashion app and style showcase. What did you think of this session?